Windows Phone 7 launches in the UK in under 48 hours, but who's aware of it? 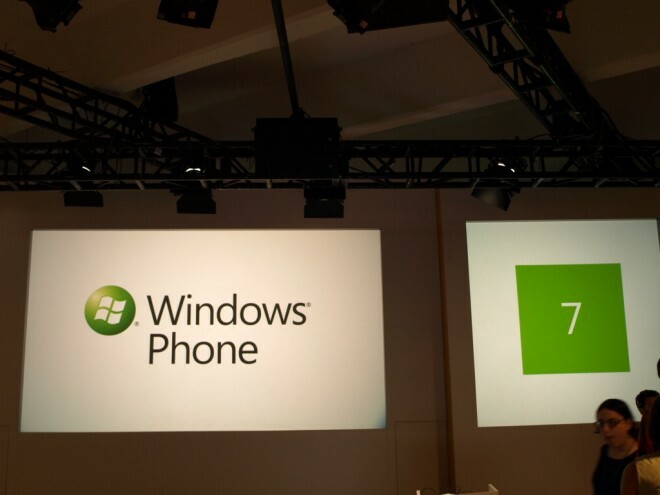 Windows Phone 7 launches in the UK in under 48 hours, but who’s aware of it? The countdown is almost over, Windows Phone 7 will launch in the UK in just under 48 hours and is expected to launch on five handsets manufactured by three companies across all major mobile operators in the kingdom. We got our first official glimpses of what would be available at launch when Steve Ballmer took to the stage in New York, presented nine different smartphones and in the process, confirmed the release dates for handsets in both the European and North American markets. It’s just a shame that nobody, at least in the UK, knows about it. Before you head over the comments and lambast me for being a Microsoft hater, I’m very excited about Microsoft’s new OS – the features it provides, the way it presents information without unnecessary input and the fact it provides very real competition to the likes of Apple, Google and RIM. Taking that into consideration, plus reports that Microsoft is spending upwards of $400 million on marketing Windows Phone 7, I’m dismayed at the fact that it is almost impossible to find information on the cost of a Windows Phone 7 handset on any given network, let alone the tariffs available for that device (although they do exist). We do know that the five initial launch handsets will be the HTC 7 Trophy, the HTC 7 Mozart, the HTC HD7, the LG Optimus 7 and the Samsung Omnia 7. Orange, T-Mobile and o2 and Three have pages live for the handsets the are due to offer customers (Vodafone will offer the HTC 7 Trophy exclusively yet it doesn’t provide a sign-up page), offering only sign-up forms to those wanting to receive their device on the launch date. Before any blame can be passed to the operators, it could be suggested that Microsoft is still in negotiation with the carriers, going into great detail about the right plans and prices that should be made available to customers. Whichever way you look at it, it’s a poor showing on Microsoft’s part, especially when the company dedicated a huge amount of resources to completely redesign its OS from scratch, assigned a huge budget to promote the new technology and then when the handsets actually launch, the first launch worldwide, it almost comes to market without so much as a whimper. Apple holds its keynotes, whips the market into a frenzy and then tells everyone when its new offerings will be available. Google has a policy of releasing updates to its Android firmware twice yearly, prompting manufacturers such as HTC, Samsung and Motorola to build new smartphones to run the OS. The structure that these companies employ allows excited customers to set a date in their diary, work out how much it will cost them and in Apple case, queue right around the block to get their new smartphone. The lack of pricing details from Microsoft or operators will almost definitely ensure this will not happen with the Windows Phone 7 UK launch. Microsoft have launched ads in America, by now you must have seen the “Lawrence Of Arabia” trailer or the “Really?” spot, at least by way of a YouTube video. The “Really?” commerical, in my view, does a great job in differentiating the new OS from Android and iOS (our Editor in Chief Zee discusses it here), focusing on the at-a-glance dynamic of the operating system, not the static app icon that its competitors utilise and require additional button presses to check for updates. The UK, however, is yet to see a sustained Windows Phone 7 presence. Consumers dislike the “Windows 7 is my idea” adverts and its Bing promotion looks to have died of death, it’s a shame because the advert discussed above could at least raise awareness of the new OS and thrust Microsoft back in the spotlight. It doesn’t seem like the UK launch is getting the recognition it deserves, highlighted by the fact consumers aren’t aware of the new platform, let alone what it can do for them. I guess for me the lack of information coming out of Microsoft or the carriers is the most frustrating thing, the company were more than willing to provide information and host showcase events prior to the handset unveiling. Since the launch event, its been all quiet on the Microsoft (and carrier) front. I imagine the publicity machine will eventually kick into gear and we will soon be deluged with so much information we won’t know what to do with. I wonder if Microsoft remembers it has a fight on its hands to claw back the market share it lost over the years, because Apple, Google, RIM and even Nokia will not make it easy for them.